At Plumbers Baldoyle we specialize in 24hr emergency plumbing services throughout Dublin as well as your everyday plumbing needs. We can be with you within the hour(often quicker) for any emergencies. We only hire fully qualified professional staff and all of our work is done in a professional, competent manner. Due to our complete transparency our Baldoyle plumbers strongly recommend you carry out some reference checks with customers before deciding which plumber to choose. At plumbers Baldoyle we pride ourselves in always offering our clients the best possible price and services available. Our open and honest approach has been the foundations upon which our reputation has been built over the years that we have been trading. Our Plumbers in Baldoyle are available 24/7 to help with all types of plumbing and heating jobs, large and small, including. · Gas & oil Boiler replacement, repair and service. · Complete kitchen and bathroom installations including sinks, showers, baths and toilets. · 24 Hour Emergency plumber Baldoyle call out service. · Domestic and Commercial properties. · Drain unblocking using power flushing, rodding, jetting and C.C.T.V. inspection. · Bathroom and kitchen plumbing and tiling services. 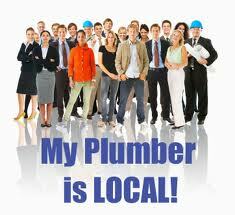 · Drains and blockages and any other plumbing issues. · All Pipe works, thawing and sewer line repairs. Don’t worry if you don’t see the service you were looking for above, we can promise that your local plumber in Baldoyle will be able to take care of the problem for you. At plumbers Baldoyle we do not charge for call outs.Call us today on 01-6874850, our team are based across the county and are on call 24/7. Our vans are fully stocked so we can always deal with your repairs and emergencies rather than doing the run around for parts. Call a local Baldoyle plumber now for a free quote.